(1684, Valenciennes, France - 1721). French rococo artist. In 1702 he traveled to Paris, where he supported himself by turning out religious pictures and copying the works of popular Dutch artists. In 1708 Watteau began working with Claude Audran, who had the care of the treasures at the Luxembourg Palace. In 1709-10 Watteau returned to Valenciennes, where he executed a series of military scenes. In the years 1710-12 he painted the first of three versions of the myth of Cythera. 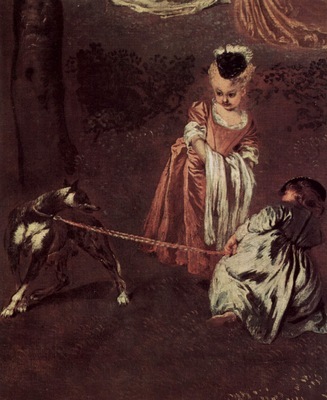 Watteau returned to Paris and in 1715.